Amanda the Panda offers free grief support to children and families in Iowa who have experienced the death of a loved one. “Amanda the Panda’s mission is to restore grieving children and families back into the mainstream of their lives through innovative services that provide hope and healing,” explains Blair Rosenberg, Amanda the Panda Development Coordinator. 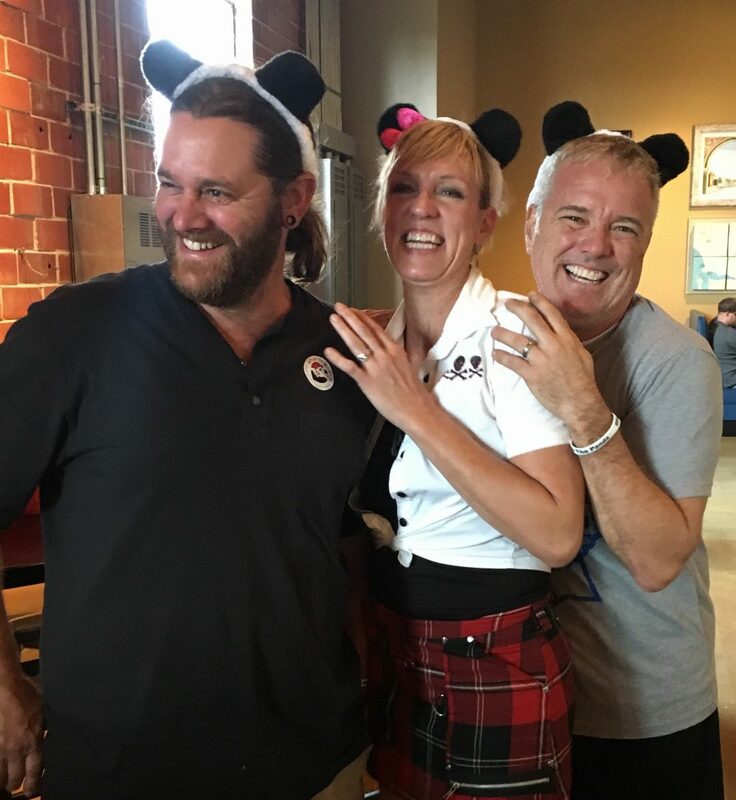 The photo’s shown are from Amanda the Panda’s Annual Panda Bar Ride held last Saturday, October 1. Broken Arrow T-Shirt Printing and Embroidery is proud to print the T-Shirts for this important fundraising event. Broken Arrow Believes in Amanda the Panda, too. Grieving children are extremely likely to develop behavior disorders, substance abuse, or depression resulting in suicide. Startlingly, ninety percent of children and teens will face the death of sibling, relative, or close friend before they finish high school. Bereavement support makes a significant and positive impact. When bereavement support is available, grieving children are 20 times less likely to develop behavior disorders, 10 times less likely to develop substance abuse issues, and 5 times less likely to commit suicide. Thank you, Amanda the Panda for all that you do for our community! Broken Arrow T-Shirt Printing: Best Place to Work!